Saturday, 19 October 2019, 8:00 PM. Cotai Arena, The Venetian Macao, Macao, Macao Group or company? 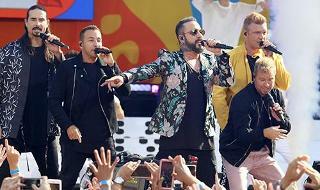 Buy tickets for Backstreet Boys Macao at StubHub. The incredible Backstreet Boys will be live at Cotai Arena, The Venetian Macao and this is your chance to be there! You are just one click away from buying your Backstreet Boys Macao tickets at StubHub to be able to enjoy your favourite artist live so don't hesitate any longer and buy your tickets here and now here and now!